We can repair and alter Dresses, Skirts, Blouses and shirts, Suits, Jackets, Coats, Jeans, Trousers, Formal & Party wear, Leather and Suede. Whatever attention your garments may need our staff can handle anything from the smallest repair to the major adjustment. 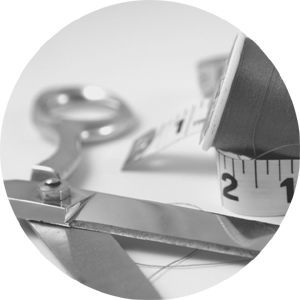 We replace zips & button, we can make size alterations, shorten and lengthen items and much more. If it’s not on our price list please ask. We take pride in our work expertise and complete every single job with precision and attention to detail. Each of your clothing repairs and alterations you bring will be lightly pressed after the work is complete. Your items will be expertly processed in 2 working days. Free collection & delivery is available for orders over £25.